It's everything you love about a bacon cheeseburger ... only better! 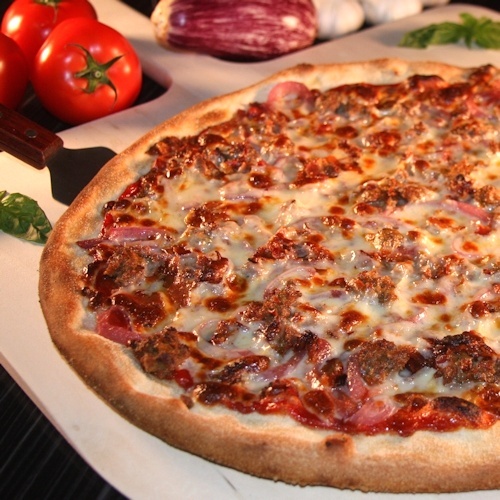 Crisp Bacon, Seasoned Ground Beef, Caramelized Red Onion, White American Cheese, House Made Special Red Sauce. Save $3.00* on a large Bacon Cheeseburger Specialty Pizza for a limited time only. Don't miss out! Grab yours today!